We performed a water change recently, and a few days later this white hair growth in reef tank exploded, covering everything. It is very similar to green hair algae but has remained white and does not rub off when touched. We posted pictures on forums and talked with Preuss Pets and no one seemed to know exactly what it is. Nothing in the tank seemed to mind, the snails ate it, and a few days later it was mostly gone. But then we did another water change and in a matter of minutes it exploded again. Whatever element it needs to thrive is in abundance in the salt mix. Again, life in the tank seemed to continue as usual and after a few days it died down again. Today we went to Preuss’s and had our water tested to see if there were any levels that could explain this growth. All results were normal except that our KH is a little low. KH (Carbonate Hardness) is also known as alkalinity. This measures the concentration of hydrogen carbonate, as well as carbonate ions in water. The concentration of these ions gives a good idea of the capability of water to maintain proper pH levels. If this value is too low, the pH value of our water may drop to a more acidic level and be life threatening to our fish and invertebrates. The recommended reef levels are 8-11 dKH (German degree of Carbonate Hardness). Our result from Preuss’s was 7 dKH. These ions become depleted when corals use them for their skeletons, and we have added several corals over the last six weeks. To remedy this, dosing or supplementing to raise carbonate alkalinity is important. 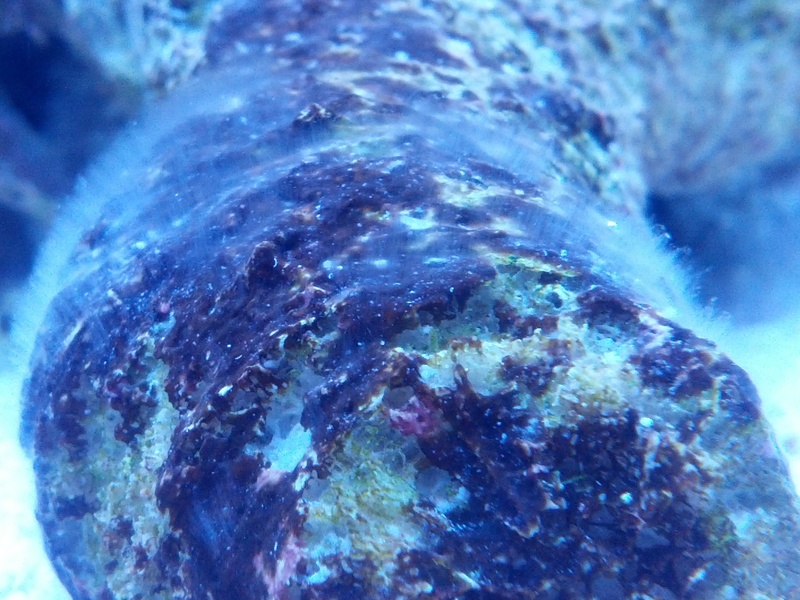 We purchased a Seachem product called Reef Fusion that is meant to increase the carbonate alkalinity in our tank. We will use this continually to maintain KH for our corals, and although I doubt that this has anything to do with our white hairy growth, we will give it some time and see if it goes away. This entry was posted in Informational and tagged alkalinity, hair-like growth, KH, saltwater. Bookmark the permalink.